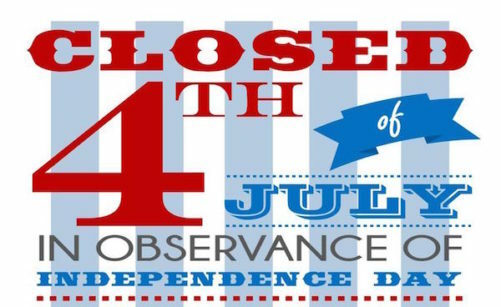 City Hall will be closed in observance of Independence Day on Wednesday, July 4th. We will re-open on Thursday to normal business hours. Have a happy and safe 4th of July!